It's about half past six in the evening and I just realized that I haven't blogged yet today. I can't break my streak... but I've had my evening meds already. Now it's a race against the clock to bang out a semi-literate blog post before I start feeling woozy. So... although I've pretty much complained in every blog post for the past week... "Whiny Wednesday" is just such an easy blog post to write that I made it my topic of the day. I need easy. Why do I need easy? I'm glad you asked. The same pain that I described yesterday? It's worse today. My lower back is killing me. My piriformis syndrome ... also killing me. Hips. Shoulder. Wrist. Knee joints are hot and swollen. It's the just revenge of the body parts who are all, apparently angry at the way they've been treated. Pop had a thing at church and so I had to refrain from taking pain meds all afternoon, so that I would be able to pick Austin up from work... because as we previously discussed, he doesn't drive yet and my mom's blood pressure being low makes her not want to drive. I'm not making a big deal about Austin driving because ... I don't know if you guys remember this but I didn't drive until I was close to thirty. It was just a thing. I can't explain why, I just didn't drive. My mom didn't drive until she was in her thirties. My grandmother never drove. My great-great-grandmother never rode in a car. It's just this thing we have about driving. Marquee doesn't drive. Tasha doesn't drive. It would be awesome if Austin could drive but he doesn't so although it can be inconvenient, truthfully, Pop pulls the majority of the Austin Taxi Duty and we know he gets there safely. So I shouldn't complain. But it's Whiny Wednesday, so I have to complain. The drive itself is not bad. I love where we live. Traffic is almost never a problem (although we did get behind a slow moving farm vehicle today). It's beautiful scenery here. The drive is only about ten minutes. I'm so proud of him consistently working every single day- y'all he has still never missed a day of work in the 15 months he's been working! That's better than I ever did! It's just that I'm uber cautious about not taking any pain meds when I'm going to be driving and unfortunately, when I'm having a flare up like I've had lately and/or what may be my new normal, it is really hard not to at least be able to take the edge off. Which really, at this point, is about as good as it gets, other than sleeping. And I obviously can't sleep and drive. In other complaints...my mom saw the doctor (and the doctor said, "that's what you get from jumping on the bed" ... sorry, I couldn't help myself) this afternoon and she has to go back tomorrow for lab work and Friday to see the doctor again. He thinks her low blood pressure is related to her fluctuating blood sugar since she basically has only a fraction of a pancreas left. Mom going to the doctor mean Oscar sitting which - thank Heavens I have the wider nest now and he can sit beside me and not on top of me but this stupid piriformis syndrome (similar to sciatica) means that I just cannot get comfortable sitting so I arrange myself in all sorts of weird positions. With the dog I have fewer options. That's all I'm sayin'. Otherwise, I'm happy to share my nest. 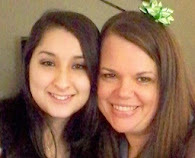 I am grateful that Mom (and me, all of us) have an amazing doctor in whom I have full confidence. I know he's looking out for her and if doing a little dog sitting is what it takes to get her healthy, it's a small price to pay. OH... and the painters who have been here all week? This afternoon while my parents were gone they kept whistling. Whenever Pop gets home he whistles for Oscar. So Oscar was on high alert thinking it was Pop every time the painter whistled. Annoying. Yesterday it was the loud music... which... I didn't complain about (to them) because it was not *that* loud and if I had to do some boring job like painting I would want music and... it sounded like a "greatest hits of the 80's and 90's" station so it wasn't offensive. I'm just an introvert. That's the long and short of it. I don't like people in my space for very long. I like to keep my schedule and be as comfortable as I possibly can and have it nice and peaceful. I'm THAT person. Tomorrow I'm going to go with my tried and true theme of "Thankful Thursday". I'll get started earlier in the day so I can think of lots and lots of things to be thankful for so I can quit being a grumpy gus. 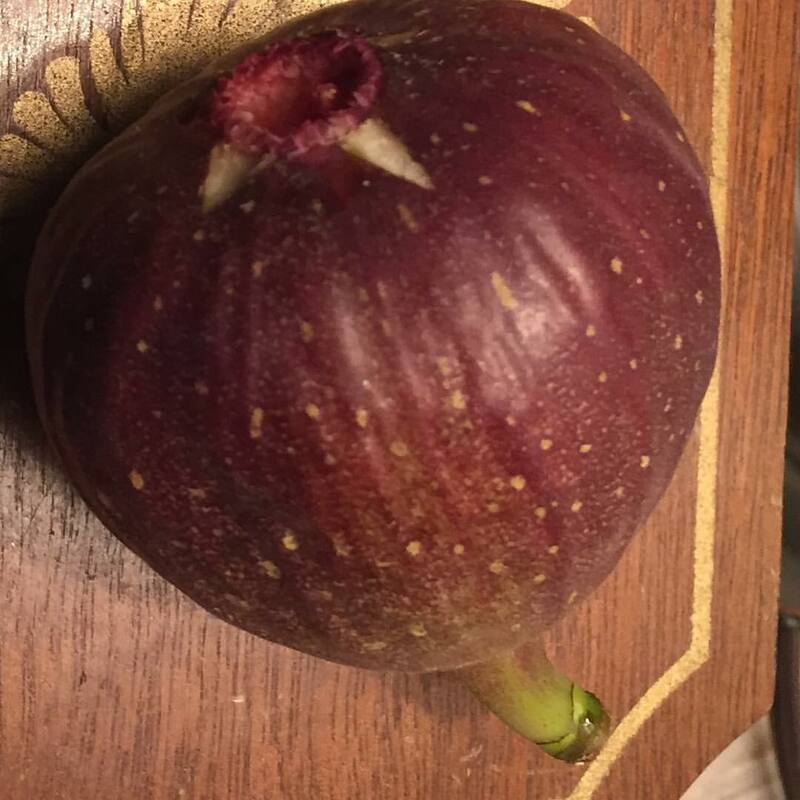 First on the list will be my FIRST FIG from my very own fig bush that we planted beside my porch three years ago! Picture at the top... so stay tuned, I'm going to try out a new attitude tomorrow! Love and hugs, thanks for reading and liking and commenting and just in general letting me know that I'm not just sending keyboard clicks out into some black hole in the universe! More love and hugs! Hi, I found your blog a couple of weeks ago and have been enjoying reading it. I have to laugh about your son not wanting to learn how to drive because my son is 27 years old and he doesn't drive either! It's amazing how many people there are that don't want to learn how to drive. His sisters couldn't wait to drive. He either walks to work or my husband or I take him. He's lucky that his job is very close to our home.